We know that musicians love having control over their own monitor mixes. Almost as much as they hate reading manuals. Enter the new ME-500. 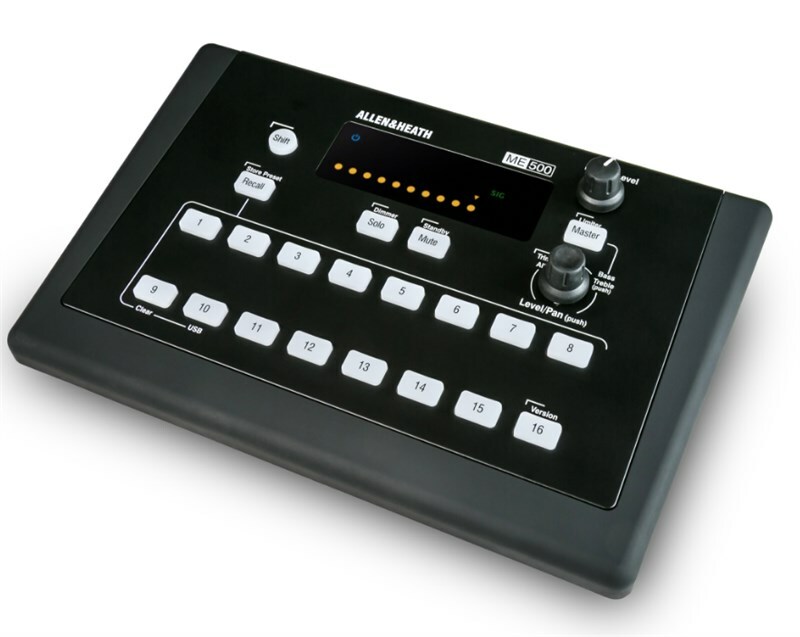 Simple to set up, it empowers musicians with hassle-free, hands-on control of their personal monitor mix. With no limit to the number of ME-500 personal mixers that can be added to a system, it's easy to cover any application from a house of worship band to a full orchestra. Easy to integrate with your existing hardware, ME-500 is plug ‘n’ play compatible with dLive, Qu, GLD and iLive, and can be used with third party digital consoles via the ME-U hub.